Dueck Defense Archives - Dueck Defense, Inc.
A Glock Fixed Rear Sight. Good sights are the biggest improvement you can make to improve your shooting performance with a pistol. I designed the DFR because I needed a no compromise sighting system for my own pistols that gave a competition perfect sight picture but, in a combat fighting sight. A Glock Fixed Rear Mini Sight. Good sights are the biggest improvement you can make to improve your shooting performance with a pistol. I designed the DFRM because I needed a no compromise sighting system for my own pistols that gave a competition perfect sight picture but, in a combat fighting sight. Dueck Defense, Inc. Red Dot Back Up Sight Base Made for Smith & Wesson M&P Handguns. For use with Leupold 1 & 2, Doctor Red Dot Sight, JP Enterprises J Point and Burris Fast Fire 1, 2 & 3, Vortex Viper & Vortex Venom. “I designed the RBU as a simple no gunsmithing sight base to eliminate lost dots when aiming. Just align the fixed iron sights and your red dot is visible. It’s simple and it works.” ** THIS PRODUCT MAY REQUIRE SOME FILING. ONCE ALTERED, IT CANNOT BE RETURNED ** Please note that S&W dovetails vary slightly from gun to gun. Our sights are manufactured to fit snug but may require some filing in order to fit some of the tighter dovetails. Light Filing may be necessary for proper fit and installation. Whereas a small triangle file will work a 60 degree dovetail file is best. We are not responsible/liable for damage/destructions to the RBU/sights or slides during installation. 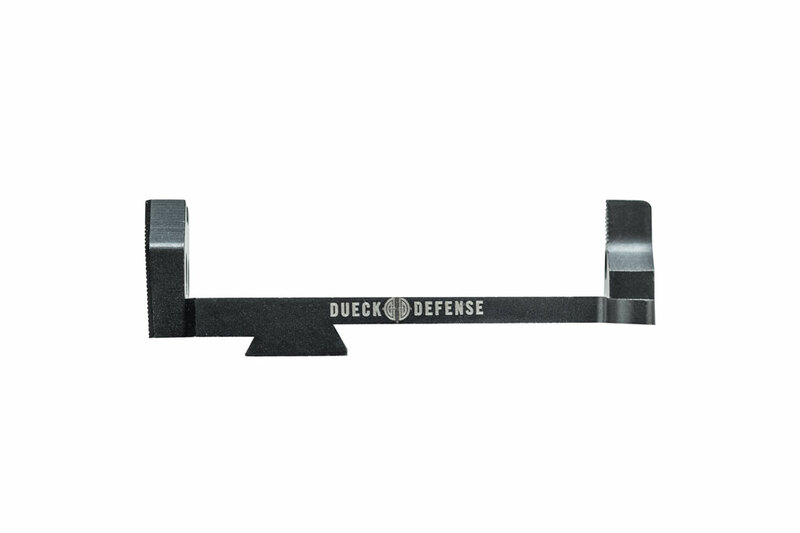 Dueck Defense, Inc. Red Dot Back Up Sight Base For use with Leupold Delta Point Pro Red Dot. “I designed the RBU as a simple no gunsmithing sight base to eliminate lost dots when aiming. Just align the fixed iron sights and your red dot is visible. It’s simple and it works.” Please note that S&W dovetails vary slightly from gun to gun. Our sights are manufactured to fit snug but may require some filing in order to fit some of the tighter dovetails. Light Filing may be necessary for proper fit and installation. Whereas a small triangle file will work a 60 degree dovetail file is best. We are not responsible/liable for damage/destructions to the RBU/sights or slides during installation. Dueck Defense, Inc. Red Dot Back Up Sight Base “I designed the RBU as a simple no gunsmithing sight base to eliminate lost dots when aiming. Just align the fixed iron sights and your red dot is visible. It’s simple and it works.” Made for GLOCK Handguns. 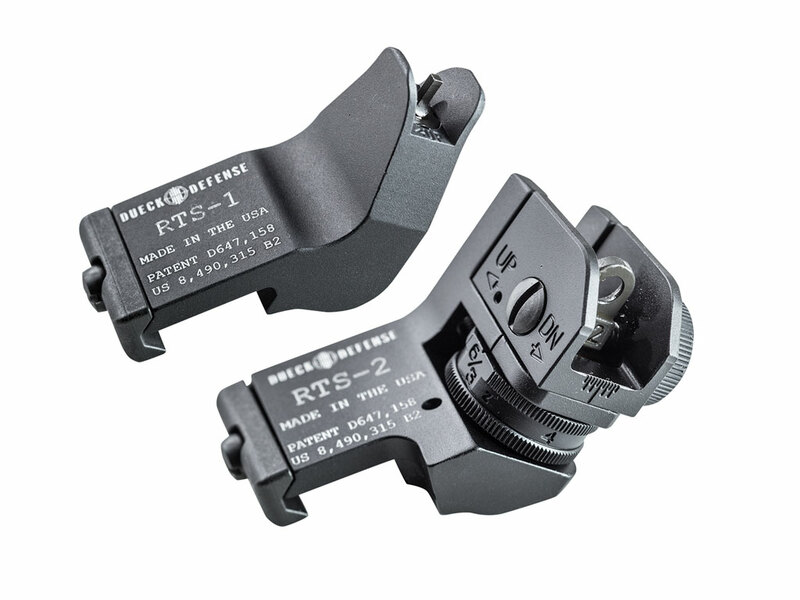 For use with Trijicon RMR Red Dot.